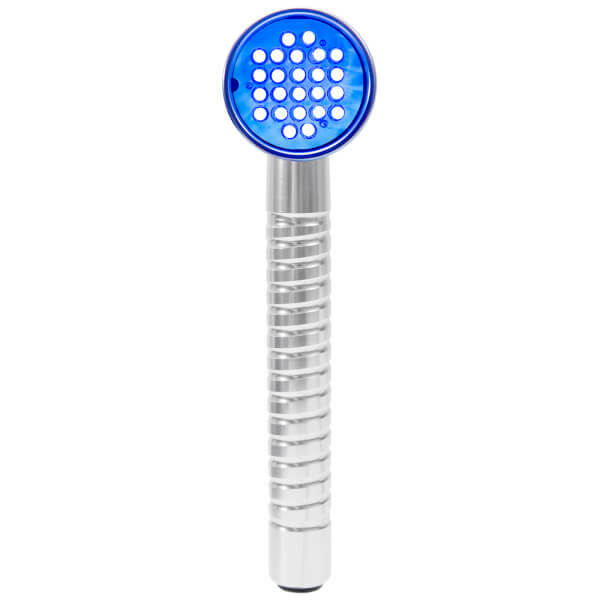 Achieve visibly clearer skin with Baby Quasar's Baby Blue; an innovative, easy-to-use light therapy tool that utilises LED light technology to help treat mild to moderate acne, whilst combating spots, breakouts and blemishes. 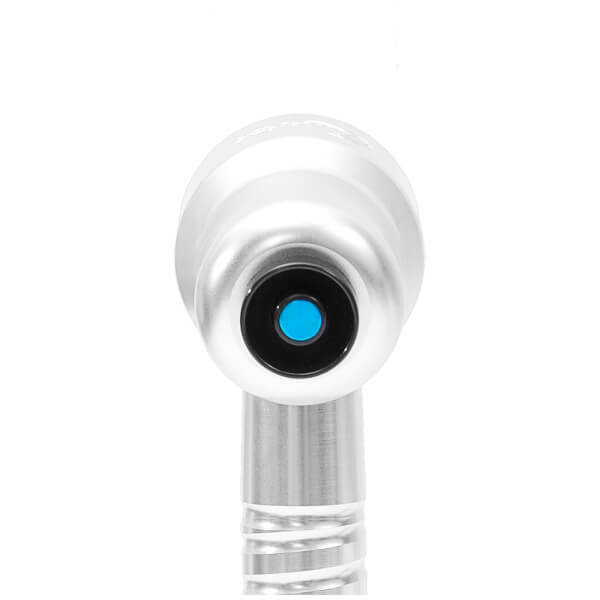 Crafted from high quality anodised aluminium with an intelligent LED configuration, the high spectral purity of its violet-blue light penetrates into pores to attack breakout-causing bacteria at the deepest level. 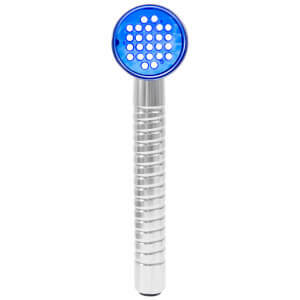 Safe, gentle and painless, the Baby Blue device glides over facial contours to eliminate problem skin, revealing a healthy-looking, glowing complexion after use. Thoroughly clean your face with your favourite cleanser. Starting at the first treatment area, place the tool directly on the skin. 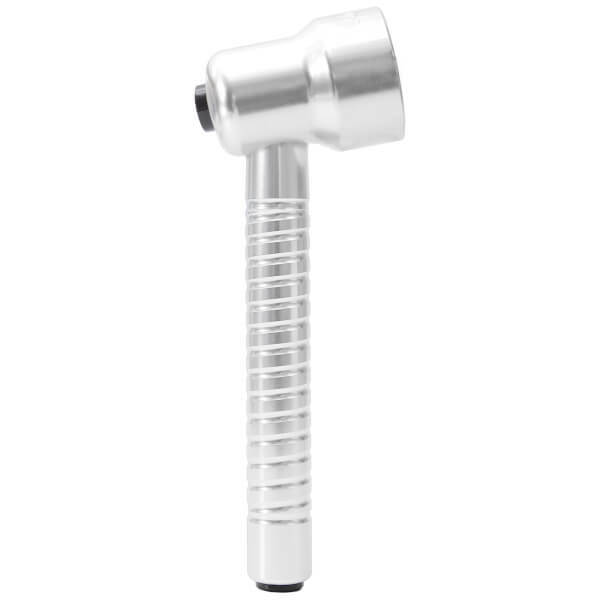 Move the tool slowly over the skin in a sweeping or circular motion for 4 minutes. Repeat on all areas of the face. Try not to let light escape as only the light penetrating will have a therapeutic benefit. Use once or twice weekly for 15 minutes to control acne bacteria. 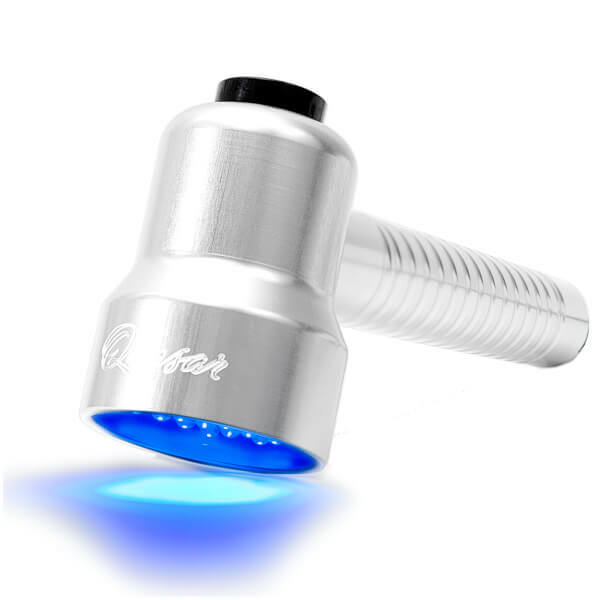 Push the button on the back of the wand until indicator light is not shining and LEDs turn off. You are now finished with the treatment. After disconnecting the unit from the power source, clean the equipment per instructions provided in the user manual. 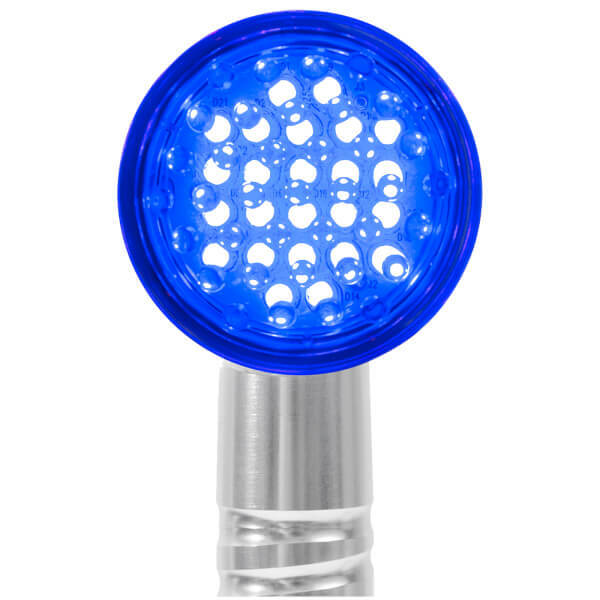 Specialized blue light wavelengths kill bacteria, control oil production, diminish scars, and shrink pores for brighter skin.